South Sudan’s army chief, General James Ajongo died in the Egyptian capital on Friday, the government has revealed. The military leader, who took over from Paul Malong Awan last year, died in Cairo on Friday morning after suffering from a short illness. 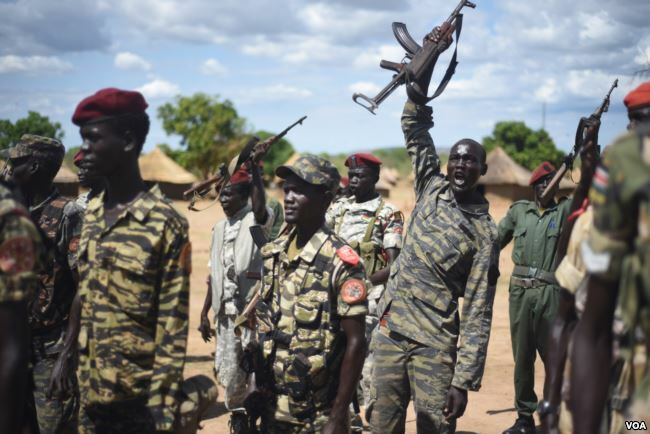 His death comes at a time when South Sudan President Salva Kiir is trying to manage conflicting interests in the military while former army chief Paul Malong is attempting to build a rebellion against the government. “It is with a heavy heart that I announce the untimely death of Gen. James Ajongo Mawut, SPLA army’s chief of defence force,” government spokesman Michael Makuei Lueth said in a statement on Friday. Ajongo died earlier on Friday morning while being treated for an illness in the Egyptian capital, Cario. The government hasn’t released specific details about the cause of his death but says it will reveal more information soon, including funeral details once they’re confirmed. Speaking to AFP, South Sudan researcher Alan Boswell said Ajongo’s death comes at a difficult time for the country’s president, Salva Kiir. “Kiir now has to manage the competing interests within a sidelined military even as he faces ramping external pressure from the Trump administration and increasingly fractious coalition politics in his own government,” he told the publication. At the same time, the East African bloc of nations IGAD says rebel leader Riek Machar should be released from house arrest in South Africa as soon as possible, on the condition that he renounces violence.